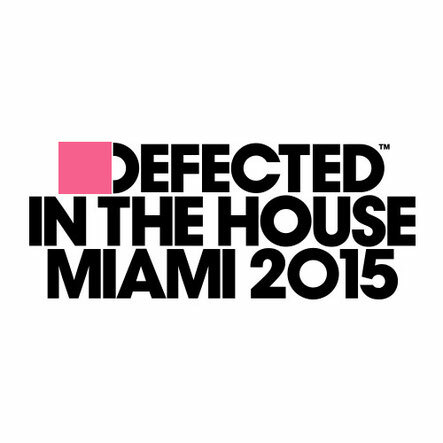 The latest in Defected’s series of mix albums, ‘Defected In The House Miami 2015’ presents three 3CDs of house music from some of the scene’s leading artists, including Soul Clap, Maya Jane Coles, Terrence Parker, Hercules & Love Affair, The Juan MacLean, Guti, Groove Armada and many more. For the past decade ‘Defected In The House Miami’ mix albums have been dedicated to compiling the very best in new underground house music, championing up-and-coming talent as well as highlighting material from well-established artists. ‘Defected In The House Miami 2015’ continues the tradition of predicting those records that will come into their own at the Miami Winter Music Conference / Miami Music Week. CD1 opens with Miami-based duo Soul Clap’s collaboration with Robert Owens ‘Misty’, setting the tone as further tracks from Maya Jane Coles, Miguel Migs and HNNY tread a similarly path. Also included is Guti ‘We Love You (Reboot’s Unicorn Remake)’, possibly one of the German producer’s strongest remixes of recent memory. Highlights on CD2 include Deetron’s remix of The Juan Maclean ‘A Simple Design’ as well as a remix of Miguel Migs feat. Meshell Ndegeocello ‘What Do You Want’ by Rodriguez Jr., who went down well at Ministry of Sound with his live show at Defected’s recent NYE party. Finally, CD3 goes straight for the jugular with Joris Voorn’s remix of Audion feat. Troels Abrahamsen ‘Dem Howl’. From there, it’s 60 minutes plus of dancefloor grooves, from Groove Armada’s ‘Highway 101’ to Mark Fanciulli feat. Joe Le Groove ‘Control’, a possible Miami WMC anthem in the making. It’s out 22 February (3CD / Digital) on Defected Records.